Posted in English, Teachers and technology on February 20, 2017 by Nataasha Southwell. It wasn’t the first time I’d visited and observed an educational system of another country. It wasn’t the first time I’d met international (education) entrepreneurs/leaders and had some dialogue with them. It wasn’t the first time I’d been in a delegation that brought diverse people together on a study tour. Yet, it was my first time experiencing a group that ‘worked’ so well together. It was the first time that right from the moment that I received an invitation until I received a ‘thank you’ email, I found a warmth exuded by the hosts. 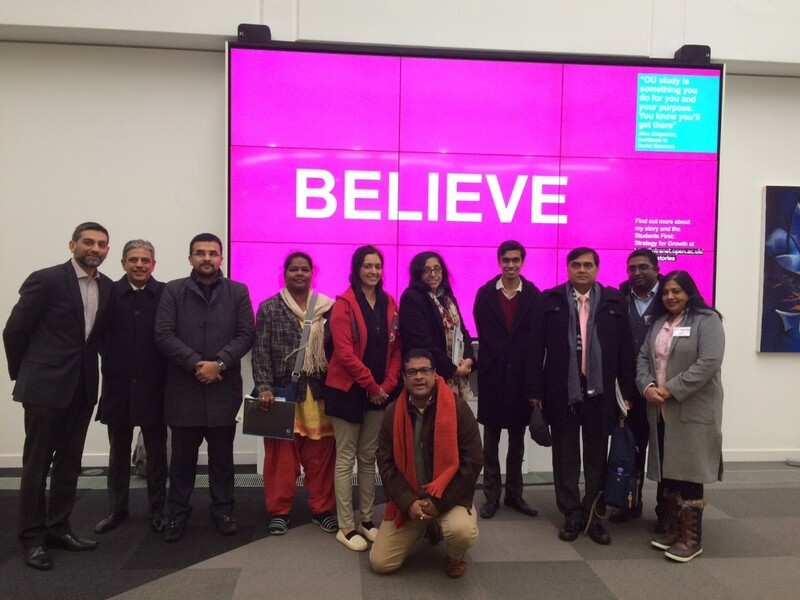 Kudos to British Council India for making this week long UK-India study tour the first for me in myriad ways. In such study tours, it remains the participants’ responsibility to grab the most that they can. And I did that. But this was assisted by the well-planned and diverse interactions I experienced. The British Council team had put together quite an eclectic blend of stimulants. From a school visit to a meeting with key members of a university, there was a range of conversations that helped me assimilate a lot of educational ideas, triggering strong forward-looking thoughts on the domain. My favourite part of the tour was the time well spent in an elementary school in central London. Direct interaction with the leaders, teachers and the students gave deep insights into classroom pedagogy and the incredible climate of trust within the school. Reaffirming several aspects of our own organisation’s programme back home, it was an eye-opener and a reassurance at the same time. Higher education visits seemed irrelevant to me when I first looked at the agenda. However, interactions here set the context for the formative years’ education in which Chrysalis, my organisation is deeply involved. The most exciting of these was the detailed conversations at The Open University. The power of ‘open’ learning struck me like it never has before. A surprise bonanza for me was a sudden invitation to speak in a panel at the Education Innovation Conference in front of an audience of 150 key players working in education in the UK and India. An Indian perspective came pouring out when I had to speak about an educational leader’s approach to the fluid and ambiguous nature of global education. I couldn’t quite hide the joy when I received great feedback for the talk. It was a week that emphasised the importance of collaboration, innovation, learning and unlearning. That the two countries had a lot in common, and yet are unique in their own way was made clear with this first person experience. Post is by Chitra, Founder and CEO, Chrysalis. It’s good to have like this season always. We can share our knowledge and it will help us to take the next level.